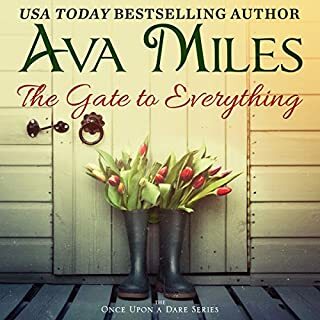 Nora Roberts gave her blessing to Ava Miles for the use of her name in both the title and the premise in this suspenseful and emotional contemporary romance. Journalist Meredith Hale's ex-husband claimed her Nora Roberts addiction gave her unrealistic expectations about marriage, and she believed him. All dreams of happily ever after - or Nora Roberts Land, as her mother calls it - went up in smoke. 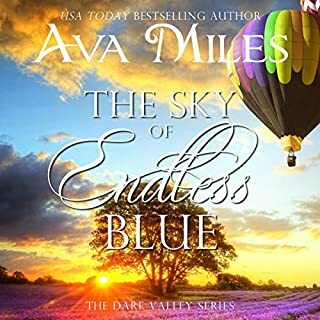 But when her family asks her to temporarily help their Dare Valley, Colorado newspaper, she decides it's time to change her life and prove her ex wrong. 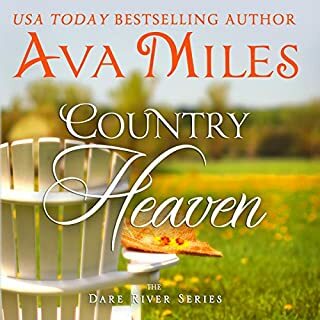 She's determined to find her own small-town Nora Roberts hero, prove that true love exists, and publish a story about her quest. ©2013 Ava Miles Inc. (P)2015 Ava Miles Inc. The plot was the problem for me with this book. I actually liked the main plot points, the execution, however, left a lot to be desired. I've been trying to find a way to explain this without giving away any of the story - but I can't do it. So, I'll just say the characters have to become stupid, forget their journalism training and do things that just do not fit the way the author describes them in order to make the plot work. I won't be reading this author again. 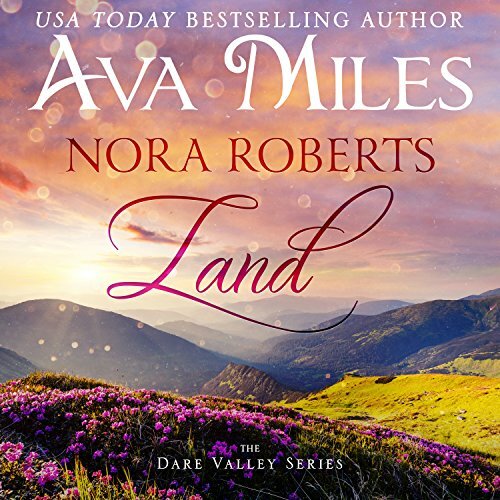 Nora Roberts Land Is an Homage of the Best Kind! 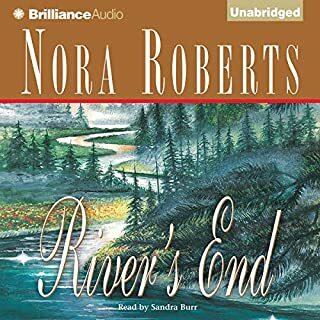 Where does Nora Roberts Land rank among all the audiobooks you’ve listened to so far? I am an avid romance novel reader and a huge Nora Roberts/J.D. Robb fan. I'm talking I may have recorded all of the movies that come on Lifetime just so I can watch them repeatedly. I've also listened to favorites such as Blue Smoke and Northern Lights on long car rides and vacations. In addition to that, she's actually one of the few writers whose paperbacks I buy and keep. If you drop one of her books in my house, chances are you'll land on a favorite *sigh* scene. Girl loves some Nora. So you can imagine my excitement and hesitation when a new author actually used her named in the title and got approval to do so. Two things: either she knew some people or she had gotten the Nora stamp of approval. I had previously read the novel, so I was apprehensive. I mean a narrator can MAKE or BREAK a novel on Audible, but Em Eldridge did NOT disappoint. The story was also just as delectable as the first two times I read it. Where to start? Ok, we'll start with the Nora references which are many but well played (to the true Roberts fan) enough not to overshadow the actual story being told. Miles did a good job of paying homage without BECOMING Nora Roberts which is difficult to do when you've put her name in the title. Meredith was completely down on her luck after a failed marriage to the sleaziest man child ever, Richard Sommerville. 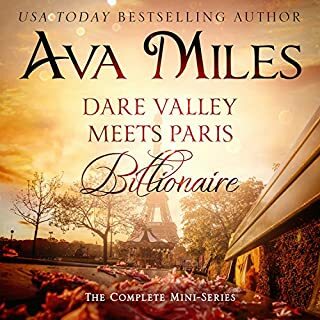 She decides to go back home to Dare Valley to help out the family newspaper and to find her very own hero (THE ONE), straight out of a Nora book. Sommerville, who in addition to increasing my hate for him, decides to blackmail the delicious Tanner McBride to entice Meredith to give up on her article about true love that could shed some negative light on him. Tanner agrees and before you know it, you are IN IT. I'm talking swiping (flipping) from page to page to see what will happen next. Will Jill forgive Brian? Is there something nefarious going on at the University? How does Grandpa (Arthur Hale) stay single at Bingo? and so on and so forth. Although my questions do not shed light on the mystery and fun hidden in the book they are the kind of questions that pop into your mind because of the way Miles draws you into her characters. You just want to know. I can't wait for French Roast (Jill's story!!!) It's my favorite in the entire bunch! Jill. She's so sassy and fun! I like to think I have a little of Jill in me, as I can totally see myself helping my sisters find a guy, while also putting them in cringeworthy situations. No. She got better as the story went on. Because I had read the book before, I had to get rid of my notions of how the characters "sounded". Also, it's always hard for women to do a good male voice without sounding whispery and stalker like. She did a pretty good job. Sometimes happily ever after comes at a price. I received this audible for an honest review. As a Nora Roberts fan, I was immediately intrigued with this book. I was not disappointed. I had a hard time putting this recorded book on pause. This is a book I will listen to again! Im a Nora Roberts fan so this story caught my attention because of her. However it held my attention because of the skilled way it was written. I look forward to the rest of the series. 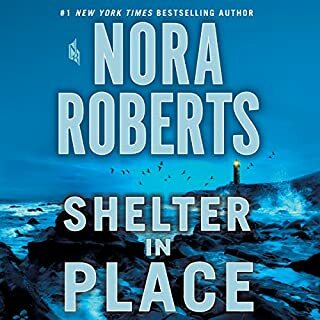 Some really good parts - but by invoking Nora Roberts you are setting a really high bar that the story and the characters just don't quite make it over. The title pulled me in! I'll have to admit that the title pulled me in. but after listening to the audio book, I was glad. I love Nora Robert's books and think it was great of her to let the author use her in this book. Little references to Ms. Roberts' stories were fun and the author wove her stories in and around the plot. I will definitely be reading the rest of the series! Made me smile, laugh and want to visit La Perla. I liked the story, the homage to Nora Roberts (who deserves every praise) and the narrator! The audible trifecta. I will definitely buy Ava's next book with pleasure. The performance its self was good. Not excellent by any means, but definitely good. The problem is the background noises. For a good portion of the book you can hear what sounds like a fire monitor that needs a new battery. It beeps every few seconds. I got to the point where i was just listening for the next beep instead of the narration. I kept finding that I'd have to rewind to try to pay attention again. When I read Nora Roberts land I relented and read for a new author. The references for Nora Roberts book and characters emphasised the meaning of the story and I related totally. Aside from Nora Roberts book names and characters, the story had a punch and would lift and empower any divorced woman. Loved it and look forward to the next book. If you could sum up Nora Roberts Land in three words, what would they be? I liked the lead character. She made me laugh and I appreciated the way she went out to get what she wanted. What does Em Eldridge bring to the story that you wouldn’t experience if you had only read the book? I love audible books because they enable me to listen whilst I potter about sewing my latest project. Em Eldridge didn't annoy me which I think is probably high praise. I have heard a couple of narrators (luckily only 2) who have caused me to return books. Em Eldridge is certainly not one of those. I intend to listen to more of her as I go through the series. As a total Nora Roberts/JD Robb fan I'm very glad I'd read/listened to most of her books before I picked this one up. There are so many references through the book to Nora Roberts' characters that I appreciated them all the more knowing who was being spoken about. This must have been written for teenagers. Way too much 'she punched his shoulder' & liked him, loathed him stuff. Really enjoyed this audible experience. Good story, never lost interest. This is my first Ava Miles book and as a big fan of Nora Roberts , I thought I would give this a go. Really glad I did.